There are few things in life more precious than your eyesight. But if you have glaucoma, you could slowly be going blind and not even know it. January is Glaucoma Awareness Month, and for many people, it also marks the beginning of a new year for their health insurance benefits. One of the best ways to prevent glaucoma from stealing your eyesight is to get an annual eye exam. Check your vision benefits — many Independence Blue Cross vision plans offer coverage for one eye exam per benefit year. Open-angle glaucoma is the most common type of glaucoma. Over time, fluid slowly builds up in the front of the eye. If it doesn’t drain properly, eye pressure increases, which can damage the optic nerve. This nerve sends light signals from the eye to the brain. Vision loss caused by glaucoma is not reversible, and there is currently no cure for it. Since glaucoma can run in families, it’s important to know your family health history. And just like every family is unique, every person’s eyes are different. Your eye shape and how much pressure your optic nerve can withstand are also factors in your risk for developing glaucoma. Getting regular dilated eye exams can help prevent glaucoma. This type of exam opens your pupil, which lets the eye doctor examine the optic nerves at the back of your eyes and check the pressures in each eye. 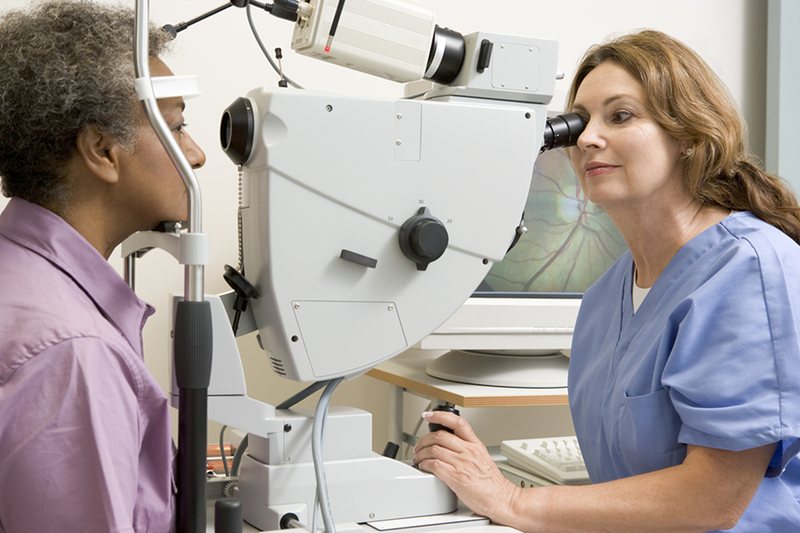 Your doctor can help you figure out your personal risk for developing glaucoma and how often you should get checked. In addition to diet, regular exercise can help you maintain a healthy blood pressure and protect your eyes against damage that causes vision loss. When it comes to your health, it pays to keep your eyes on the prize — years of seeing our beautiful world clearly.